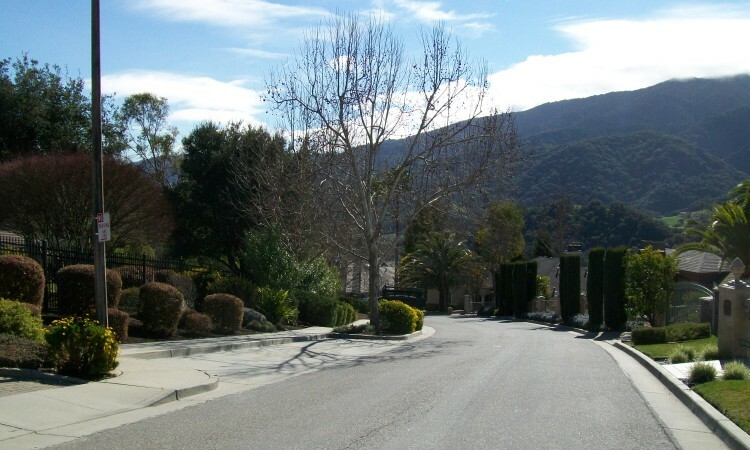 About seventy five to eighty spacious homes sit along the scenic eastern ridge tops of Blossom Hill along or just off of Santa Rosa Drive. 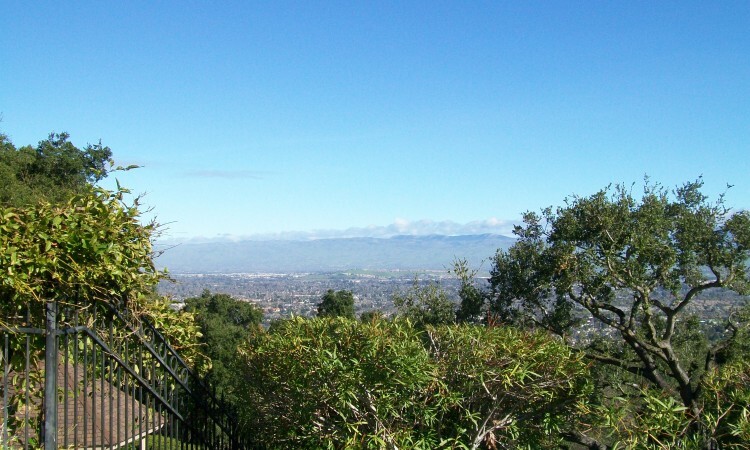 It’s a stunning neighborhood which enjoys views both of the Santa Clara Valley on one side and the Santa Cruz Mountains on the other. 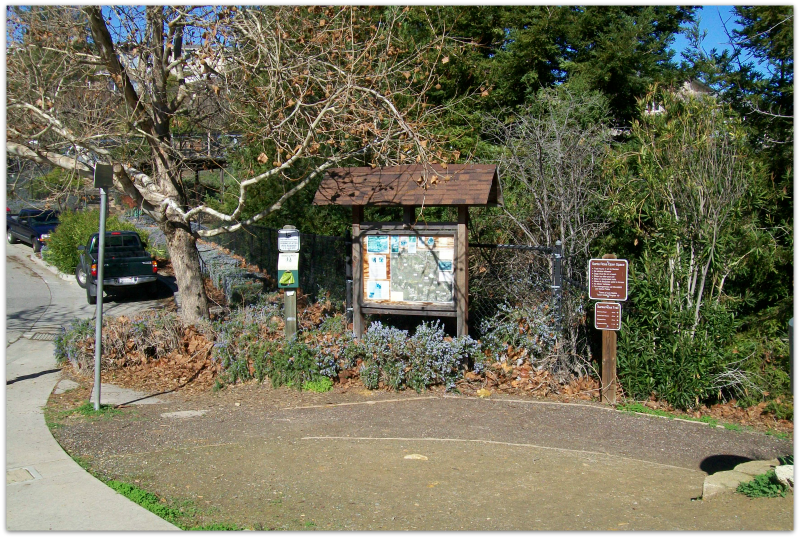 That part of the coastal foothills located south of highway 17, including Loma Prieta and Mt. 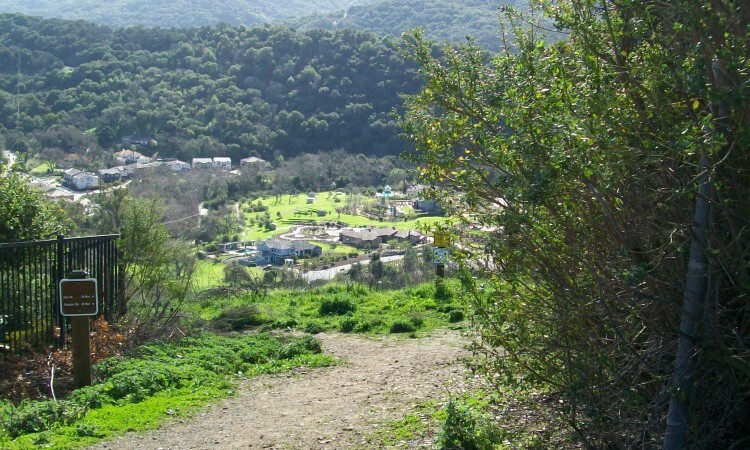 Umunhum, was once known as Sierra Azul, or Blue Mountain. 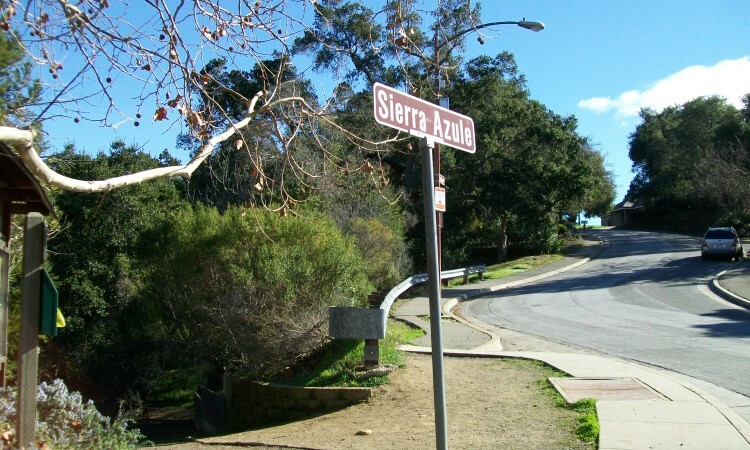 Hence one of the streets in this Los Gatos community is Sierra Azule (why an extra “e” is added, I do not know). 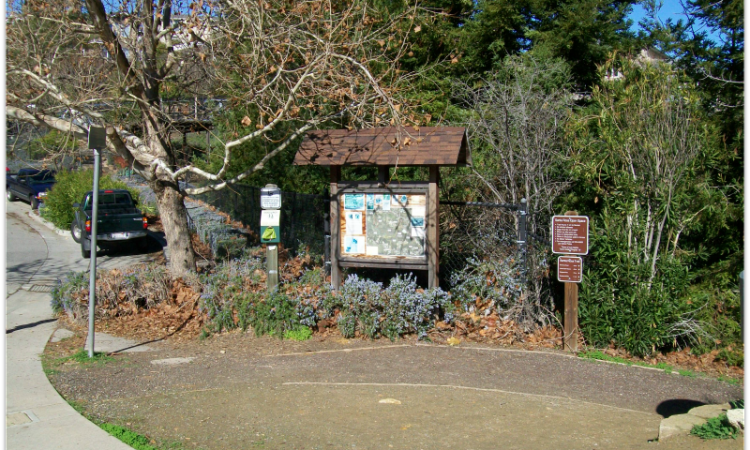 Not only are there gorgeous views of the mountains and Silicon Valley, but there are trail heads that connect here, too. Love to mountain bike, hike, or just take photos? 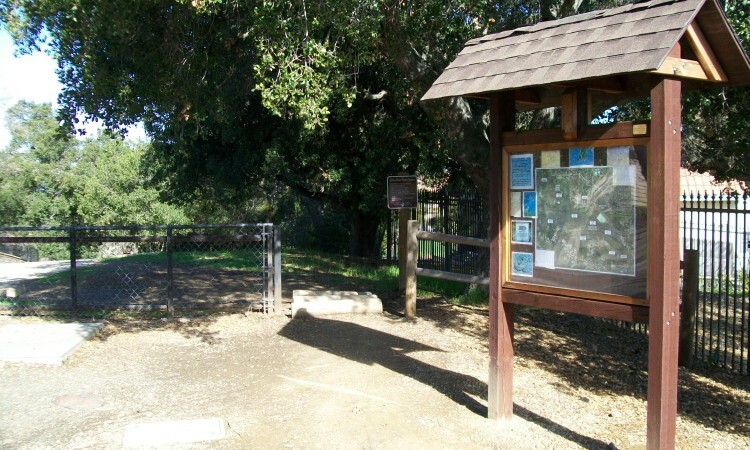 You will love the network of trails that weave between the Santa Rosa Open Space Preserve, the Shannon Valley Open Space Preserve, and the paths that lead to Belgatos Park and the Heintz Open Space Preserve, which begins in the Heritage Grove neighborhood. 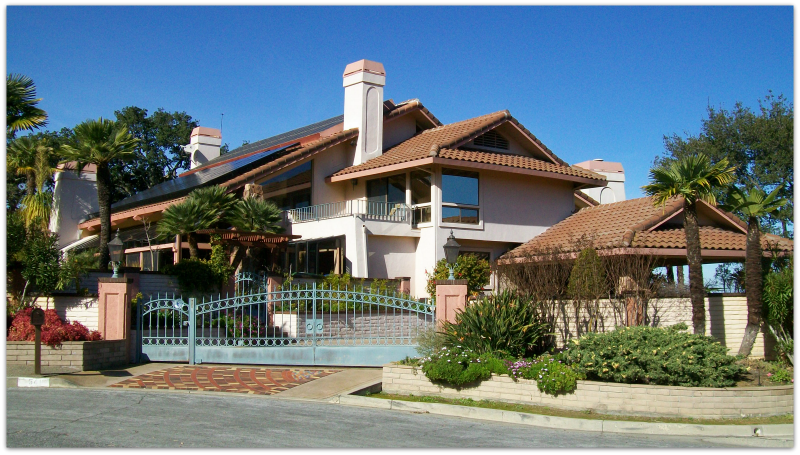 What are the houses like in the Santa Rosa and Sierra Azule neighborhood? 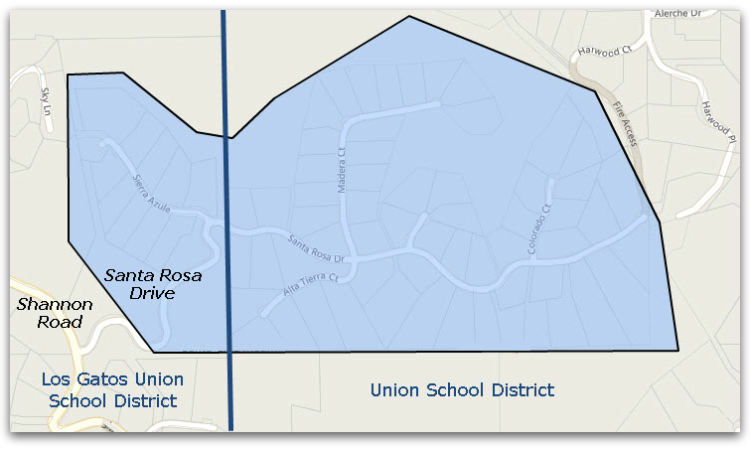 The bulk of the neighoborhood is found on Santa Rosa and off of it on the east end of the area: Madera Court, Alta Tierra, Auzerais Court, and Colorado Court. These properties were mostly built in the 1980s and 1990s, though a few were before or after that period. There are just a dozen homes on Sierra Azule, most of them a little younger, built between 1995 and 2000. In general, they are not ostentatious or pretentious, but they are fairly large. There’s a range of home and lot size, of course. 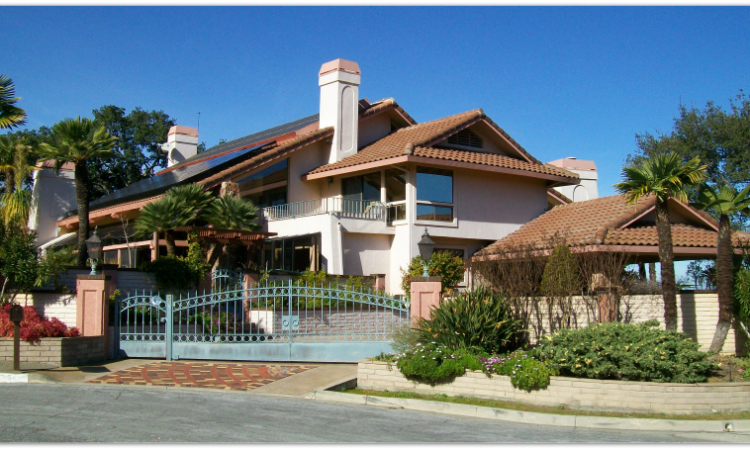 A typical house enjoys about 5300 square feet (3000 to 10,000 but most between 4000 and 7000 SF) on an acre or two of land (though much of it will be hillside). Half the homes are adorned with pools and spas. Many have large decks and patios as well as oversized windows to take in the views. Three car garages are pretty much the norm. Many of the homes are somewhat low profile from the street, but they can surprise you once you get inside, as quite a few are 2 stories but the lower level simply isn’t visible from the road or front walkway. While in the Almond Grove and Edelen Historic Districts you find picket fences, here you sometimes see taller wrought iron gates and fences. Why do they do that? Deer. Deer will eat your rose bushes, and any other tasty thing, if given access. People who move there seem to love it, and overall it’s a stable area with not too much turnover. Twenty five of these homes have been occupied for 20+ years, and a couple of them since the late 1970s! 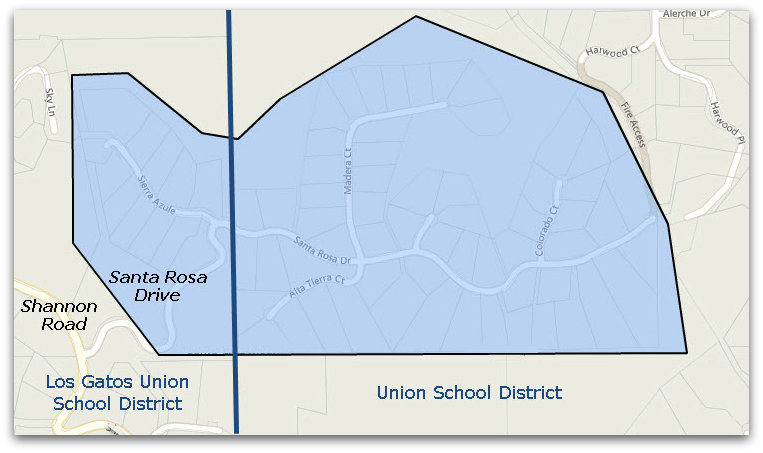 This neighborhood is split such that about 85 percent of it falls in the Union School District and the Campbell Union High School District (Leigh High) but the section along Sierra Azule is inside the Los Gatos Union School District and the Los Gatos – Saratoga Joint Union High School District (Los Gatos High). 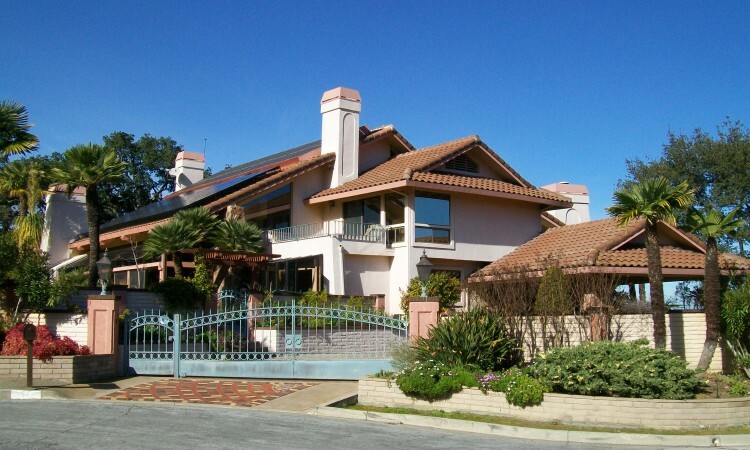 What do these Los Gatos homes cost? How’s the market? 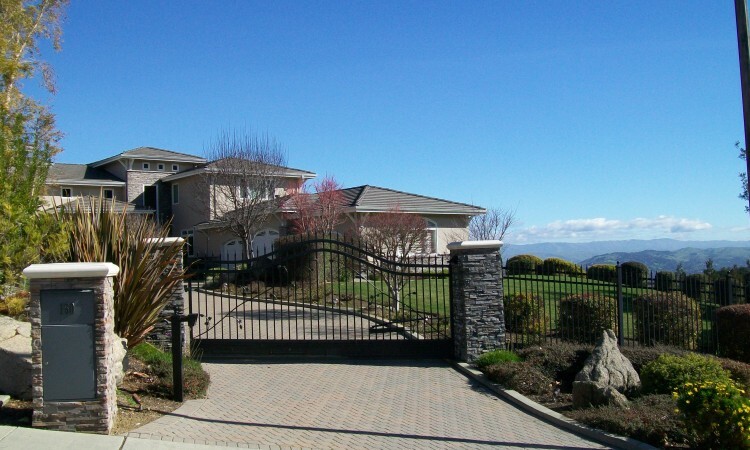 As you can imagine, the newer homes with Los Gatos High tend to sell for a little more than the older homes with Leigh High. But the homes on Sierra Azule sometimes don’t have as much useable land, so it’s not a given. Each house and lot has to be weighed on its own. As of this writing, February 2016, homes in this area (both school districts) seem to run between $2 and $5 million. 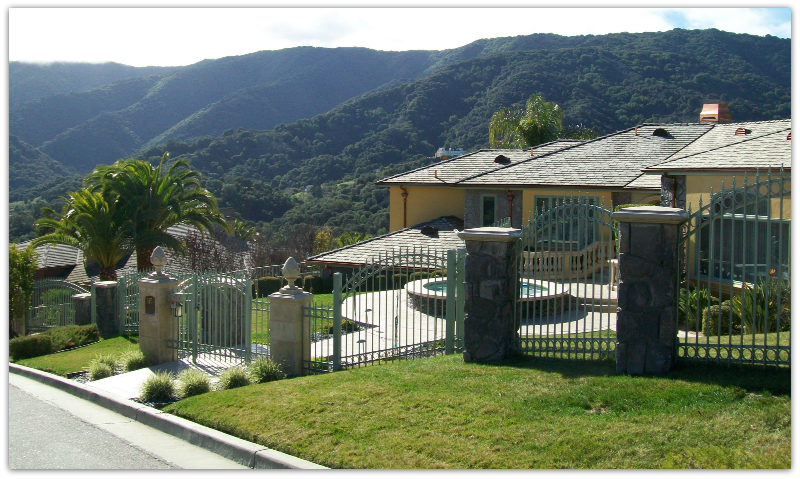 Los Gatos real estate prices tend to be softer over $3 million and this area is no exeption. There were 3 houses that sold there in the last year, and the average days on market is 51 and average sale price to list price ratio is 96-97%. There are two for sale now. If you are looking for a spacious home in a beautiful area that’s also a “good value,” I’d encourage you to check out this neighborhood! 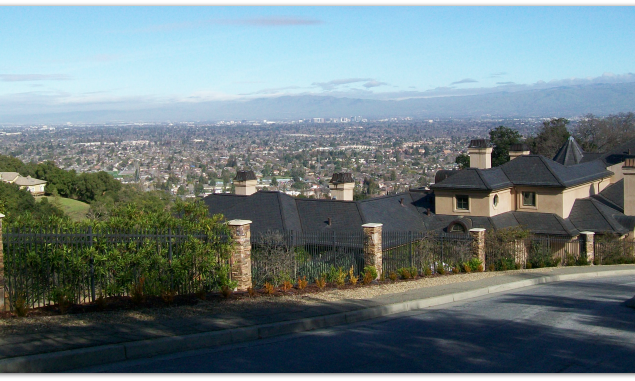 Want to buy or sell a home in this neighborhood or anywhere in Los Gatos? Please call or email me, Mary Pope-Handy. 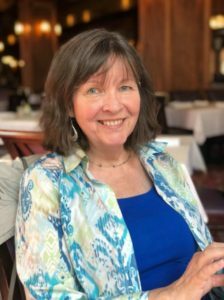 I’d love to connect with you and see if we might be able to work together.